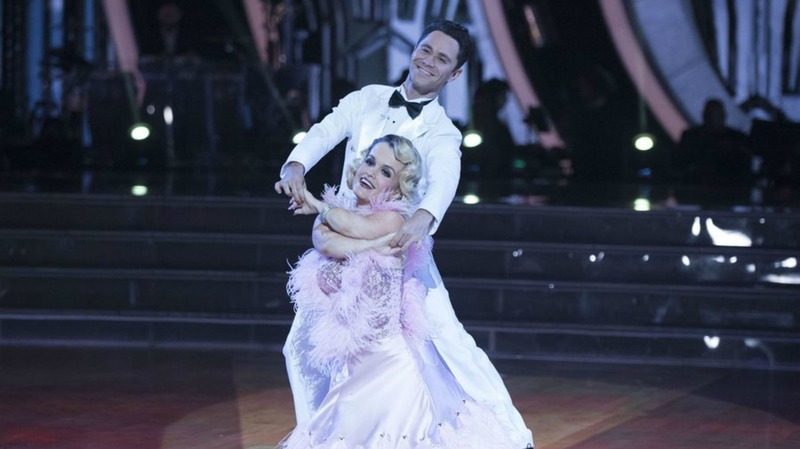 Is anyone else falling in love with Terra Jolé on DWTS? I know Laurie Hernandez practically has the Dancing with the Stars win in the bag, but Terra Jolé is winning me over. She is a good dancer! And she has consistently been at the top of the leader board so far in Season 23, despite a little misstep last week. More than that, she is inspiring. Needless to say, this couple has had some unique challenges to overcome this season. But overcome them they have. And they’ve done it with style, improving week after week. “Welcome back, bombshell!” Julianne Hough said after Jolé’s Era’s Night performance because she has improved so much since week six. She and Farber had a visible connection during their dance, and their steps were on point. “You put the ‘all’ in small,” Len Goodman added. While Carrie Ann Inaba called Jolé’s 1930s-inspired foxtrot wonderful. But that isn’t the only reason I’m falling in love with Jolé. She’s got a great personality and a captivating way of expressing herself, even off the dance floor. I have a feeling that, even though Jolé may not be the one to end up taking the Mirror Ball trophy home (*cough* Hernandez), she still has a long time left in the Season 23 competition. And I’m not alone. Fans are loving her this season. Do you think Jolé could win Dancing with the Stars Season 23?